Let’s give a shout-out to our best friends! Who are they? Our pets, of course! Small (or large) and fury (or feathered or scaled or finned), our pets give us unconditional love and loads of happiness. Just watching them navigate their day is entertaining and educational. National Pet Awareness Month was established to celebrate these in-home pals and remind pet owners to ensure that their pets have everything they need to live a long and healthy life. This month take extra time to have fun with your pet! In the vast ocean teeming with sharks, Captain Crave noticed a small bottle bobbing just off the port side of his ship. With a bound from the plank, he dove into the sea and retrieved it. As he balanced himself on the tip of a shark’s nose and the bottle on the tip of his hook, the captain’s crew cheered and held up scores of 8.6 to 10 for his performance. Image copyright Matt Myers, 2017, courtesy of Myerspaints.com. On the list was “Ship?” “‘Check,’ replied the captain.” He could also check off courage and daring, treasure, eye patch, and hook; he was still working on peg leg. But then the first mate got to “pet.” Captain Crave was surprised, but he wanted to be the best buccaneer he could. “‘Well, shuck me an oyster and set sail for land. We needs to find me a pet,’” he said. When they landed on the beach, they were happy to see that “they caused quite a commotion, as good pirates should.” They immediately began searching for a pet. The crab was “‘too cranky,’” the octopus was “‘too clingy,’” and the clam was “‘too quiet.’” They left the beach and headed to a farm, where again they caused a commotion. They checked out a goat, a donkey, and a goose, but none of them seemed perfect either. When they entered the zoo, you can imagine the commotion they caused. Here, they tried out an elephant that was “‘too big,’” a koala that was “‘too cuddly,’” and a lion that was just “‘Yikes!’” But the trip wasn’t a total loss. By the end of it, Captain Crave was able to check “peg leg” off the Best Buccaneer list. The zookeeper had an idea on where the pirates could look and drove them straight to the Pet Emporium. The pirates couldn’t believe how many pets there were to choose from. Captain Crave took a stroll around the shop and then heard a squawk. Just as he gazed upward, he was bombarded by a splat. “‘I’ve been poop-decked,’ he yelled.” His crew were incensed and chased the parrot around the store. They even wondered if they should eat it. But Captain Crave took a good long look at the parrot, who had landed on his hook. He could see that the parrot was brave, he knew that it had “caused quite a commotion,” and when he asked the parrot, “‘Do ye happen to know—in land, sea, or sky—any pirate-worthy pets?’” The parrot had an answer. Giving up his mum’s shiny doubloon, Captain Crave left the Pet Emporium with the perfect pet on his shoulder. Readers will love Beth Ferry’s raucous and riotously funny pirate adventure where the treasure sought isn’t gold or jewels but something more valuable—a beloved pet. Along the way, kids will adore Ferry’s dialogue-rich storytelling that includes plenty of clever “pirate speak” and a brilliant bit on how the Captain attains his desired peg leg. With a nod toward a bird’s talent for target shooting, Ferry taps into her audience’s sense of humor, and as the captain finds his perfect pet, kids will also giggle at the parrot’s puns. Image copyright Matt Myers, 2017, text copyright, Beth Ferry, 2017. 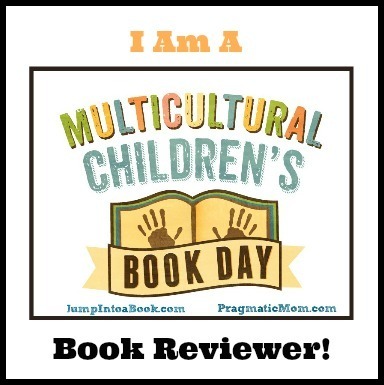 Courtesy of Candlewick Press. Matt Myers’ pirate crew is one wild bunch of scallywags—or are they? With a love for mum, pink bunny slippers, and a treasure chest that includes candy and a teddy bear, this mob seems closer to their readers in personality than to historical swashbuckling swaggerers. Kids will laugh out loud as Captain Crave and his pirates run amok at the beach, farm and zoo; “try on” possible pets, and discover the perfect companion. Amid the commotion, Myers’ vibrant and detailed illustrations ramp up (plank up?) the humor: the ship’s figure head joins in the judging of the captain’s daring-do, a goat nibbles the captain’s pants, exposing his polka-dotted boxers, the no-feeding warning above the lion’s cage includes a picture of a boot with a slash across it, and even the skull on Captain Crave’s hat demonstrates its opinion of the new crew member. For pirate—and pet—lovers Pirate’s Perfect Pet is a treasure to be added to home, school, and library bookshelves. Discover more about Beth Ferry and her books—available now and upcoming—on her website. Step into the galleries of Matt Myers to view an incredible array of artwork on his website. 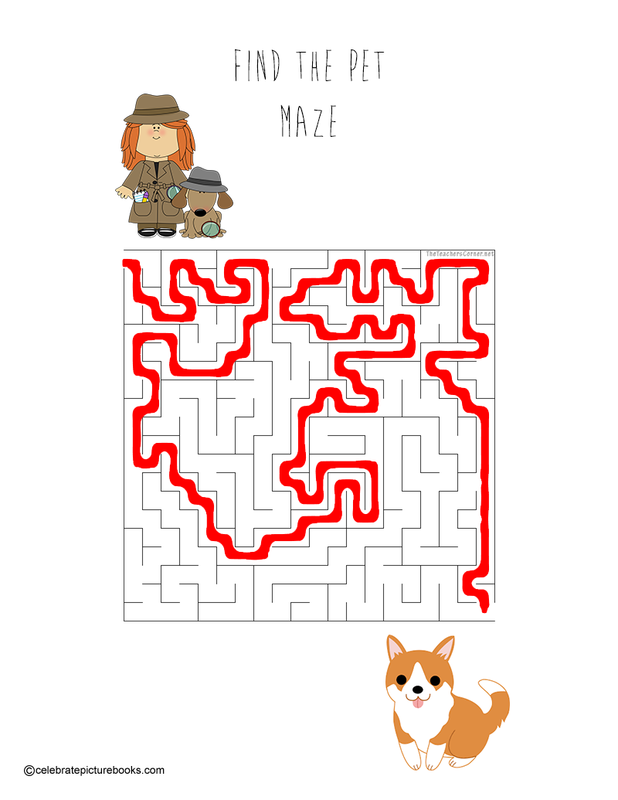 Finding the perfect pet can take time! 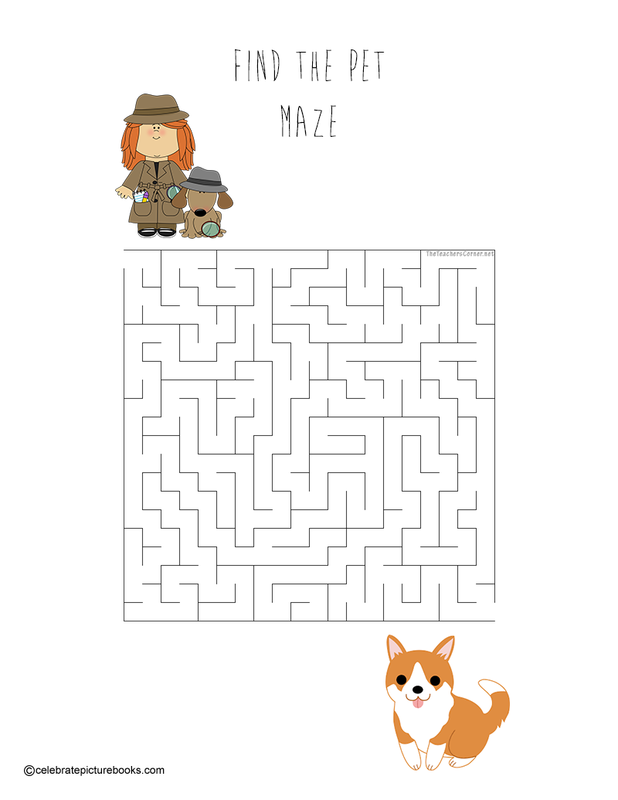 In this printable Find the Pet Maze, a young detective is on the case! Can you help? Here’s the Solution!